In this edition of How To (X), the author of the blog will detail the inception and creation of an advertisement on the internet website Craigslist, whilst the whole time referring to himself in the third person. The ad must not mention certain critical details. If the poster wishes to sell a car, for example, he or she must leave out the mileage, color, mention of previous wrecks, the condition of the interior, or any combination of all of these options. The ad must contain several misspelling and blatant grammatical errors. The author has observed several advertisements that do not contain errors, and he is certain that no positive conclusion shall result. Make liberal misuse of homonyms. When taking pictures to display your items, make certain that the images do not represent the true nature of the goods. Preferably, use a camera phone to capture the images, and never frame the image from a flattering angle. The display of damaged portions is left up to the poster’s discretion, but the author highly recommends the omission of such images. When crafting the wording of the title, consider inserting random acronyms and meaningless phrases. Be sure to transpose a few letters in a word or two! If you are so brave as to include a video, record the footage with a low-quality camera, and be sure to turn off any image stabilization–this will ensure thatt he image meets Craigslist’s strict quality guidelines. Never post the actual price of anything. Insert a few periods into the price to confuse the buyer: $3.50.0.00. If your post fits perfectly into a set catagory, be sure to place it elsewhere on the site. Save the negative aspects of your sale for last. Write them in small print near the bottom of the post. The author has had a fair amount of experience with Craigslist, and he feels confident that these tips will aid in the production of a successful sale ad. The rules for a wanted ad differ slightly. In fact, they are altogether different. A wanted ad must be incredibly complex; use as many obsolete phrases as possible. To weed out the disinterested, increase the volume of the verbiage to substantial levels. Double and triple check the ad to ensure that no typos or grammatical errors are present. If possible, employ the use of a rhetorical fallacy, such as a parade of horrors. Feeling that these suggestion will prove invaluable, the author offers a kind “you’re welcome” to all of the “thank you”s that are certain to come flowing in. This entry was posted in How-To's and tagged Cars, Craigslist, Ebay, Grammar, Satire, Satirical, Selling, Selling On The Internet, Shtuff, Thrift, Writing. I had three things that I really loved when I was a kid: my sock monkey, my Lab, and my Legos. As I got older, the sock monkey fell apart and the Lab got lazy. My Legos, though, never failed me. Needless to say, I really like Legos. Even now that I’m in college, I have Legos sitting on my dorm room’s windowsill, and I’m super-excited about the upcoming release of the Lord of the Rings Legos. I must say that I’m proud of Lego for bringing back the old-style sets like City and Space. Here’s a list of the top ten things to do with Legos. Crasher Cars — This was one of my favorite games that I used to play with my friends (Jeff and Josh). The first step is for each player to build a vehicle of some sort. A Lego minifigure is placed in the car, but he has to be visible. The cars are then propelled towards each other with great force. The goal is to have your minifigure still attached to the largest chuck of Lego pieces, you get a bonus if your car doesn’t break. You get parent bonuses if you don’t break anything in the house. Ships/Boats — Lego has always had some really cool nautical sets with boats that actually float. Legos always improved any childhood bathing experience. I don’t recommend this for older children; college-aged student playing with Legos in the shower is a bit strange. Flying Devices — I must admit, the aerodynamics of the spaceships, planes, and other flying devices that I built were not always the greatest, but I had some cool looking spaceships! With guns. Lots and lots of guns. Cranes — I had a thing for winches, pulleys, and rope. I really liked those little hand-cranked Lego winches; they have to be one of my favorite pieces. I was always making and improving crane designs. Minifigure Armies — Like any boy, I really loved playing war. My Legos didn’t often escape the conflicts that raged through my room and house. The minifigures were often conscripted into armies made up of all sorts of toys, imaginary and real. 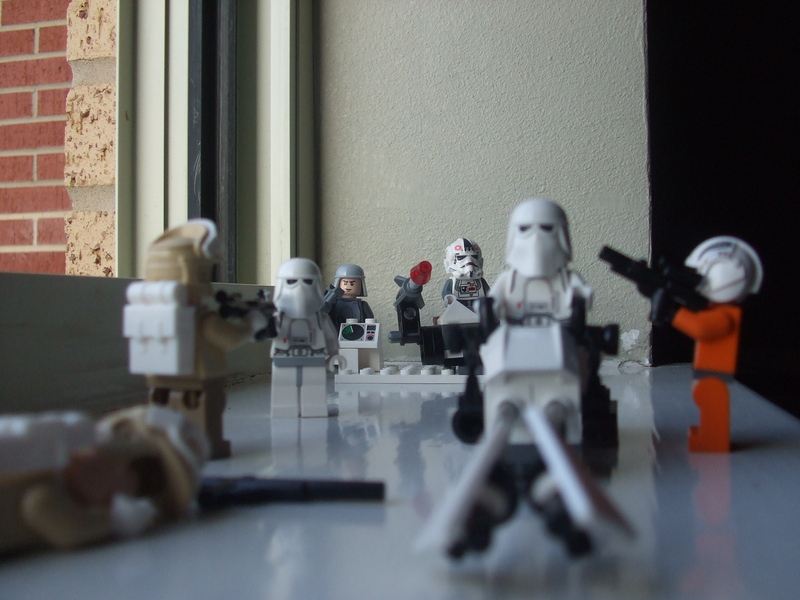 Unfortunately for me, my parents frowned upon the use of explosives–a rule my minifigures were most thankful for. Star Wars — Star Wars Legos have to be some of the best Legos ever produced. From the tiny lightsaber duel sets to the massive “collector” level models of Blockade Runners and Star Destroyers, Lego really put a lot of effort into the plastic re-creations of the cult-classic film series. Join the dark side, we have awesome plastic stormtroopers. Movie Reenactment — I never actually filmed any of the movies that we reenacted, but I know that we did recreate a lot of movie scenes with Legos. Sure, they might have featured divers as soldiers and police minifigures as shop owners, but I’m sure the critics over-looked those minor details. Castles/Buildings — I really like castles and medieval times, so castles were always a favorite construction project. Of course, the best part of building any castle is the destruction. Many different demolition methods were used, often consisting of catapults and rampant time-traveling motor vehicles. Lightsabers — I know I already mentioned Star Wars, but I think lightsabers are important enough to be in a category of their own. The multi-colored translucent rods are some of the simplest and best Lego weapons. Robotics — Finally, I have to mention Lego Mindstorms. Used even today in high schools and college engineering programs, these kits are really cool. My school uses them along with a professional data analysis program for introductory programming and data acquisition projects. That’s just a taste of some of the things that you can do with Legos. I’d love to hear some of your favorite Lego-related stories. I’ll leave you with this video of an awesome Lego Rube-Goldberg machine. This entry was posted in Slightly Serious and tagged Buildings, Cars, College, Demolition, Film, Legos, Lightsabers, Lord of the Rings, LOTR, Movies, Robotics, Star Wars, Top Ten, Toys.